Looking ahead to May 17th (3:30 York). Interesting to see that Frankel has no less than nine three-year-olds entered at this early closing stage for the Dante Stakes (Group 2). Take a look at the entries here. Six length winner for John Gosden on debut. Trained by Aidan O'Brien. This bay colt raced five times at two. Dual winner, once at Group 3, and runner-up in the Royal Lodge Stakes (Group 2) when loosing by a head to Roaring Lion. Aidan O'Brien has this bay colt entered for a number of top-flight races. He ran five times at two winning at Group 2 and third placed at the Currugh when outpointed in the National Stakes (Group 1). Mark Johnston's bay colt is out of 1000 Guineas winner Attraction. Winner on both his two starts at two including the Tattersalls Stakes (Group 3). Another one for Aidan O'Brien in the ownership of Flaxman Stables Ireland Ltd. Tipperary maiden stakes winner by a head but not extended. Finished last of eight at Newmarket when stepping up to pattern class. Interesting bay colt who is yet to make his debut for John Gosden in the ownership of Lady Bamford. 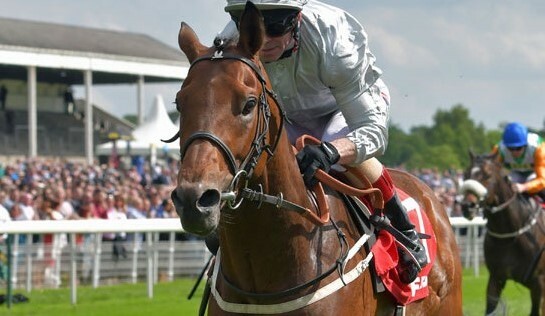 This home bred is out of the exceptional Sariska who took the Investec Oaks (Group 1) for Michael Bell. As well know for refusing to race on her last two outings. Won over £700,000 in total earning. Unraced three-year-old trained by John Gosden in the ownership of A E Oppenheimer. This bay colt is out of mare who won once for Geoff Wragg but placed at the highest level. A horse with a reputation before winning well on debut for Roger Charlton in the ownership of K Abdullah when 11/10f, beating a fair horse in Wadilsafa.Fancied at odds of 25/1 for the 2000 Guineas. History of the Dante Stakes (Group 2) raced over 1m 2f 56y at York in May. Named after the Yorkshire-trained winner of the Derby in 1945. Established in 1958 when Bald Eagle won for trainer Cecil Boyd-Rochfort., ridden by Harry Carr. Initially a group 3 race until upgraded in 1980. Ten winners of the Dante have gone on to win the Epsom Derby (Group 1). The most recent being Golden Horn in 2015 for John Gosden. Winner of the Prix de l'arc Triomphe (awarded Cartier Horse of the Year 2015). Henry Cecil is the most prolific winner taking this contest 7 times (Approval (1970) - Tenby (1993). Pat Eddery had the most winning rides with 6 victories (Beldale Flutter (1981) - Tenby (1993). Last year so Permian win for Godolphin trained by Mark Johnston. Permian lost his life when breaking a leg when crossing the line in the Secretariat Stakes at Arlington.